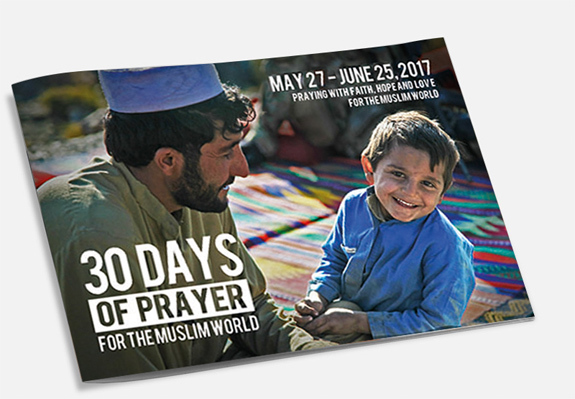 This year I am once again using the 30 Days of Prayer for the Muslim World to guide my prayers for my Muslim neighbors during Ramadan. It is available from WorldChristian.com, and this year focuses prayer on family life--"the place where most people first learn about faith, where our values are formed, and where we are influenced in more ways than we realize" (pg. 1, from the guide). Last year, the publishers estimate one million Christians around the world used this guide to pray for Muslims. Given that I live in a community of around 63,000 people that also has an estimated 10,000+ Somali Muslim refugees among us, this is a golden opportunity for God to increase my love and compassion for this beautiful people who does not yet know Jesus as the Savior of the world. I would encourage you to use this resource to plead with our Father to give us bigger hearts to reach this particular people that make up those who still remain in darkness. 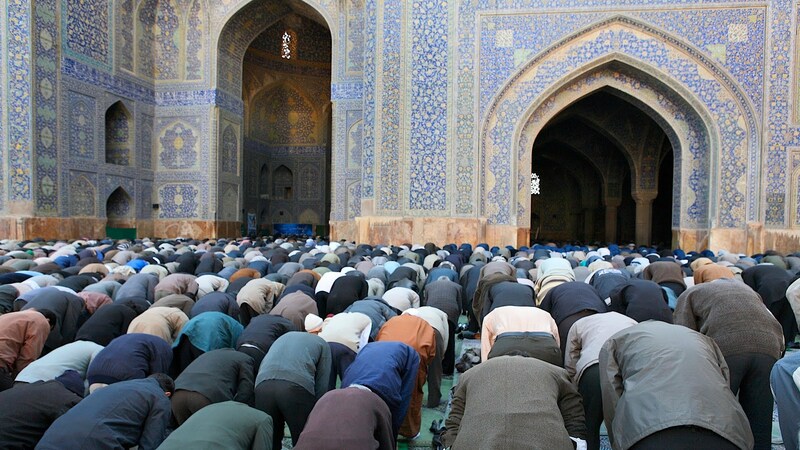 An additional resource to inform your thinking, evangelism, and praying comes by way of Joe Carter over at The Gospel Coalition, entitled "Nine Things You Should Know About Ramadan." I've attached it below for your perusal. May God use us -- a people who have received mercy -- to proclaim the excellencies of Jesus to those still in darkness and apart from the light. Because Muslims account for 1.6 billion of our global neighbors, Christians need to become more aware of Ramadan and Islamic practices. Here are nine things you should know about Islam’s holiest month. 1. Ramadan is the ninth month of the Islamic calendar. Because it’s based on the lunar calendar, the beginning and end dates vary from year to year. This year in the United State Ramadan began on the evening of Friday, May 26, and ends on Saturday, June 24. The month of Ramadan [is that] in which was revealed the Qur'an, a guidance for the people and clear proofs of guidance and criterion. So whoever sights [the new moon of] the month, let him fast it; and whoever is ill or on a journey—then an equal number of other days. Allah intends for your ease and does not intend for your hardship and [wants] for you to complete the period and to glorify Allah for that [to] which He has guided you; and perhaps you will be grateful. 5. Fasting during Ramadan, known as “sawm,” is one of the Five Pillars of Islam, the basic religious duties for Muslims. The other four pillars are Shahadah (declaring there is no god except Allah, and Muhammad is Allah’s Messenger); Salat (ritual prayer five times a day); Zakat (compulsory charity for the poor, assessed at 2.5 percent of capital assets); and the Hajj (pilgrimage to Mecca at least once in a lifetime if he or she is able; the hajj takes place during the last ten days of the 12th lunar month). 6. Fasting during Ramadan begins 20 minutes before dawn (fajr) and ends at sundown (maghrib). All able-bodied adults are expected to participate in the fast. Children are exempt, as are the elderly, the ill, travelers, and women who are pregnant, breastfeeding, or menstruating. 7. The day’s fast is considered invalidated if the Muslim participates in any of the following activities from sunrise to sundown: eating or drinking, sexual activity, telling lies “about Allah and/or His Messenger,” immersing the entire head in water, deliberate inhalation of smoke, taking injections whereby nourishing liquids reach the stomach, deliberate vomiting, intentionally passing an object through the throat or any other natural opening (including chewing gum). 8. If Muslims miss or invalidate their fast they must make up the missed fast days before the next Ramadan begins. The missed days can be made up any time during this period, on consecutive days or separately.